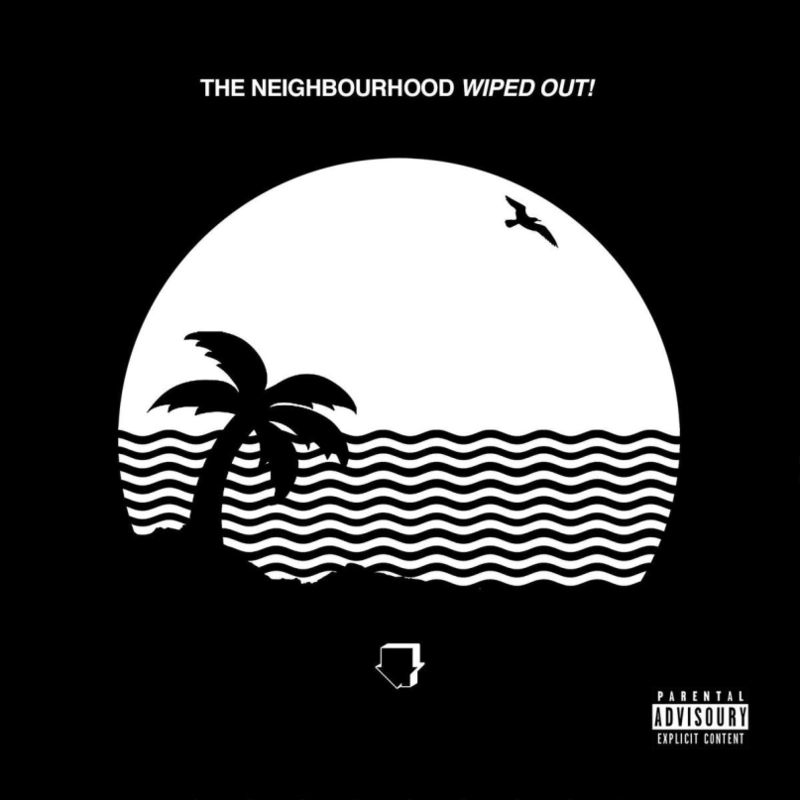 In true The Neighbourhood fashion, everything about their latest album Wiped Out! is just as mysterious as their last. The alt-rock band hails from California — something they pay homage to quite frequently within their material — and they found commercial success with their 2013 debut album I Love You. Their latest effort, which was released the day before Halloween, showcases how the quintet’s style and talent have matured in the past two years, but there’s still no denying that there’s a mystifying aura to it all. Things kick off with ‘A Moment Of Silence‘ and it does what it says on the tin. It’s literally 30 seconds of silence which in any other case would be a major no-go for the beginning of a record, but in The Neighbourhood’s territory it’s hardly even surprising. ‘Prey‘ follows and it’s immediately clear that the band have ditched the hazy-rock-vibe they were plugging on I Love You in favour of something a bit more commercial. It’s still dark; in fact it’s darker, but the band have infused elements of pop and R&B that will see them appeal to a wider audience. ‘Cry Baby‘ is almost reminiscent of the material Justin Bieber is putting out nowadays with a deep, driving bassline and haunting vocals from lead singer Jesse Rutherford. The title track follows, with lyrics that almost everyone can resonate with — “I don’t wanna let you down / so promise you won’t let me drown“. The song is epic, standing at six minutes and 15 seconds, and uses a number of techniques throughout making it a rather experimental effort. ‘Daddy Issues‘ is very much a slow jam but still keeps true to the band’s obscure and cryptic nature by way of its lyrics that stand strong against the slick melody. ‘Baby Came Home/Valentine‘ starts off as a complete contrast — it’s acoustic for one, and focuses solely on Rutherford’s natural vocal range. Things don’t remain quiet, as the track leads into a highly distorted section that is very à la The Neighbourhood, before pausing for a moment to then kick off with the second part of the split track that focuses on the use of gentle guitars and SFX. 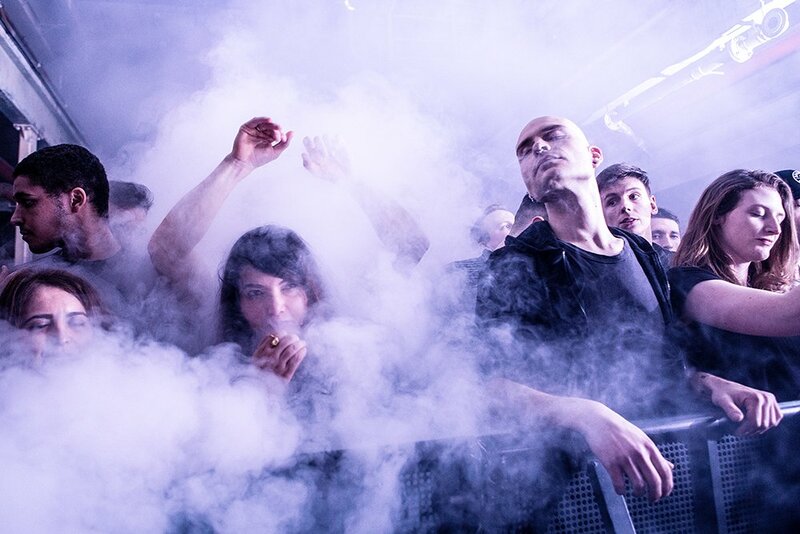 ‘Ferrari‘ sees the band enlist the use of distortion once more, and throughout has a chilling bassline behind deliberate vocals. It’s not an accident that The Neighbourhood are incorporating all these new influences — if I Love You was Lana Del Rey, Wiped Out! could be considered the love child between her and say, Drake. As the album winds down, listeners are presented with two very different tunes. ‘Single‘ is a well placed light-hearted effort, showcasing that The Neighbourhood are quite capable of switching it up a bit and stripping things down on their material. It’s this close to being mainstream pop, but luckily it sits just on the wrong side of the fence — it wouldn’t be them if it didn’t. Lead single ‘R.I.P. 2 My Youth‘ is the closing force, and there’s no doubting that this is the most radio ready from the album with its catchy chorus and relatable lyrics. With this one, The Neighbourhood are truly going out with a bang, having successfully proved they’re quite capable of beating the sophomore slump. Back in 2013, The Neighbourhood were all the rage. With Wiped Out! they’re undoubtedly clawing their way back up to be that buzz band once more. Everyone is talking about this record, and deservedly so.